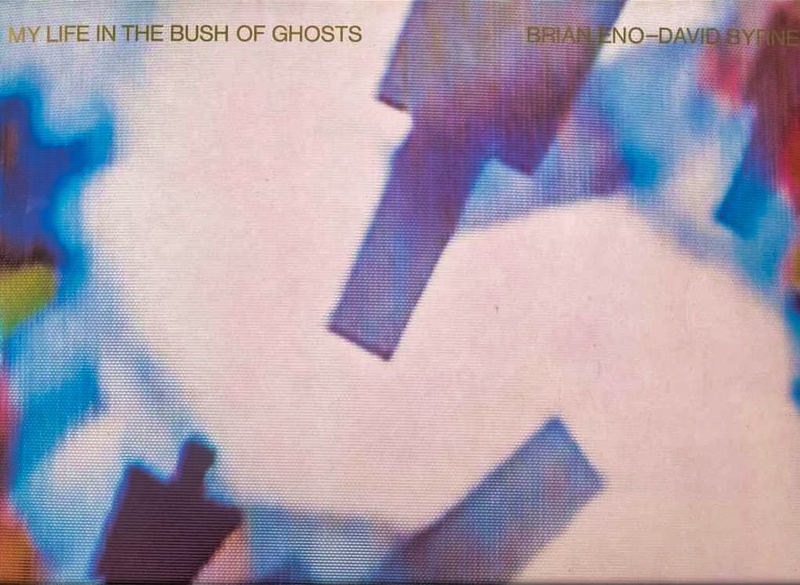 Brian Eno & David Byrne’s My Life in the Bush of Ghosts is often credited as one of the first ‘sample-driven’ albums. It can be argued whether or not its cut-and-paste tape embellishments are ‘samples’ in the Art of Noise “Who’s Afraid Of?” or The Bomb Squad sense, but the influence is undeniable. The album did alert many already art-inclined musicians to the possibilities found in adding sounds and dialogue to productions. Rather than sampling, we could say it popularized collaging. I was on a high school trip to Disney World, probably around 1986, and we ended up in Panama City for an overnight rest stop (we were coming from Louisiana). I was hungry for ‘alternative’ records, as they were scarce in small town I lived in. So, in our short stay in Panama City I sought out and somehow found an underground record shop. I was tempted by the many albums I’d never heard of — they all looked like something I should listen to — but I only had money to buy one. I did what you did in those days: I asked the record clerk for his recommendation. He asked me what I was into and where my taste currently resided. I’m not sure what I said, but I was mining early Cabaret Voltaire at the time (Red Mecca was an obsession) so that may have influenced his decision. He pulled out a vinyl copy of My Life in the Bush of Ghosts and asked, “Have you heard this?” I hadn’t, so he insisted I spend my cash on this unassuming-looking album. Once I returned home and put the album on the turntable I was transfixed. It was weird, completely different than anything else, and organic and sloppy while other sample-based/electronic albums at the time were technical and precise. I wish I could thank that guy at the record store. Less than two weeks ago from this writing (December 2, 2018), the body of longtime progressive radio host Ray Taliaferro was discovered in the woods near Paducah, Kentucky. Taliaferro was a pioneering black broadcaster and community leader in San Francisco starting in the late ‘60s. Sadly, he suffered from dementia in his later years and mysteriously went missing several weeks before his body was found. It’s hard not to think about Taliaferro wandering disoriented and alone when he was a lamp to so many in life. For posterity though, his voice was captured in a much more vibrant moment as the first that is heard on Brian Eno and David Byrne’s collaboration, My Life In The Bush of Ghosts. 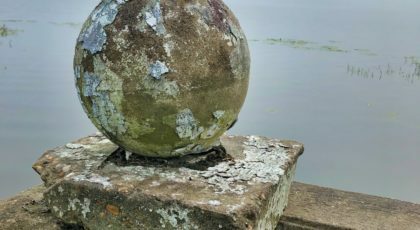 If you know the album you immediately know the voice: “America is waiting for a message of some sort or another.” It’s so matter-of-fact, but ominous, almost authorative, denoting a conspiratorial paranoia that we recognize all-too-well in 2018. I knew nothing about Ray Taliaferro — I didn’t even know he was behind the song’s vocal until today — but he seems to have been a well-respected broadcasting forerunner. I wonder what he thought about his voice on “America Is Waiting,” portraying him with nervousness and an almost methodical mania. This brings up some of the problems expressed about My Life in the Bush of Ghosts. There’s a matter of cultural appropriation and context-shifting that could be extended to Ray Taliaferro. At the time, fellow world-tapping producer Adrian Sherwood seemed to sneer at this and Eno’s intent of creating a “vision of a psychedelic Africa” when he titled an African Head Charge album My Life in a Hole in the Ground, not soon after the Eno/Byrne release. Sherwood also later appropriated the Eno quote for another album title. Cultural appropriation is a tricky subject. No one disagrees that the originators should get their due. And context-shifting is fine and dandy until it happens to you. But the mash-up of different cultures is how new movements and genres are made — Hank Shocklee has even stated the influence of My Life in the Bush of Ghosts on The Bomb Squad and his innovative production for Public Enemy. And these combinations also release a bubble, inspiring fans to track down the influences. Paul Simon got a bit of flack for Graceland, but the album did turn a lot of people (including me) onto Soweto street music. Even Jono Podmore admits, “The first African book I ever read was My Life in the Bush of Ghosts – because the album had introduced the title to me.” The line is even blurrier once we learn that Eno and Byrne never read the book themselves — they just liked, and appropriated, the title.